Make space for your mods. You can’t have your wheels and tires rubbing on your suspension. Use wheels spacers to add enough clearance. There’s only one direction to go and that’s out. Not every wheel was destined to fit over your brakes. 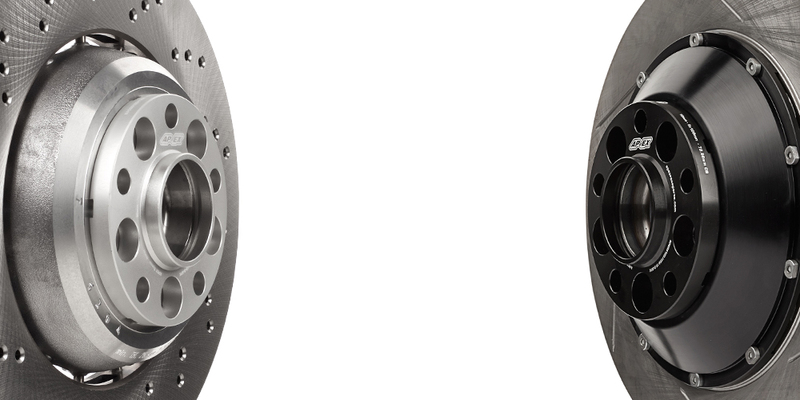 Give them a hand with wheel spacers to add the clearance necessary for those spokes to spin freely. Adequate clearance is a good thing, but excessive gap just doesn’t look right. 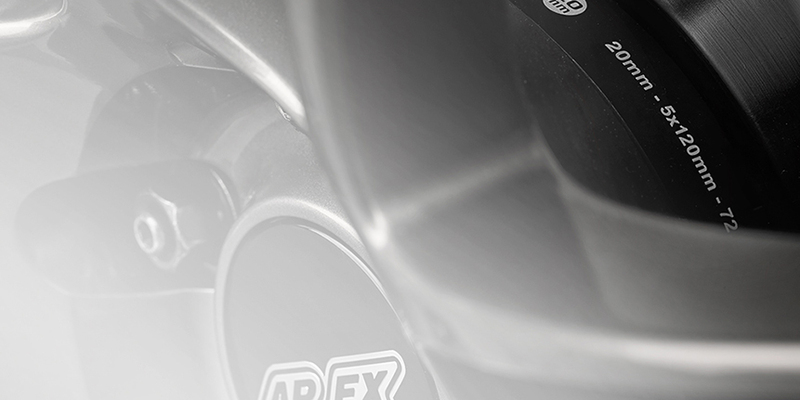 Get your wheels flush with your fenders using APEX wheel spacers. 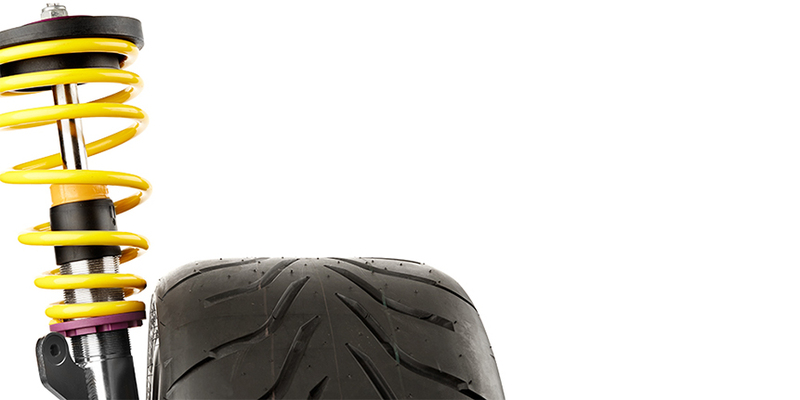 Available in a wide variety of sizes to allow you to precisely dial in your fitment. One size does not fit all. You’ll need a range of sizes at your disposal if you’re going to perfect your unique fitment. 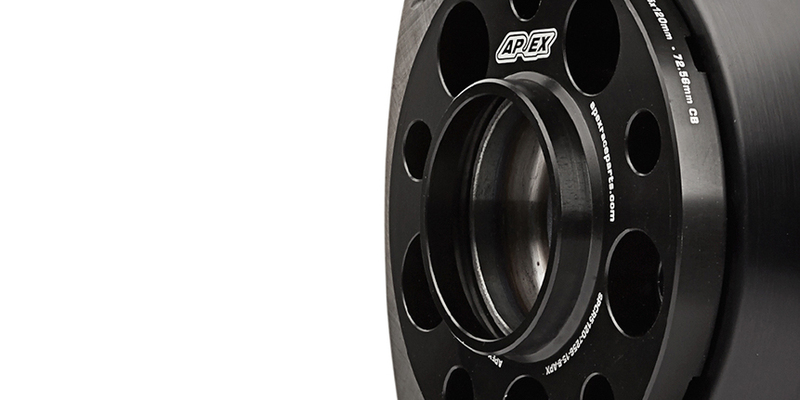 From thin to thick, APEX has your size needs covered. 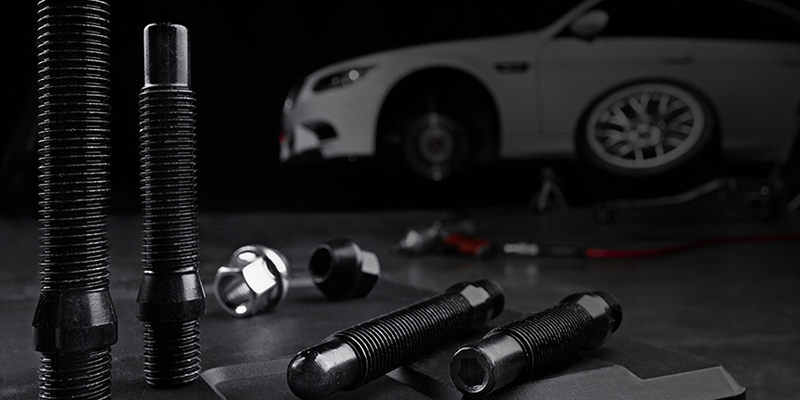 Extended wheel hardware is required for spacers, but if you already own studs or lugs, you shouldn’t be required to purchase hardware with spacers. 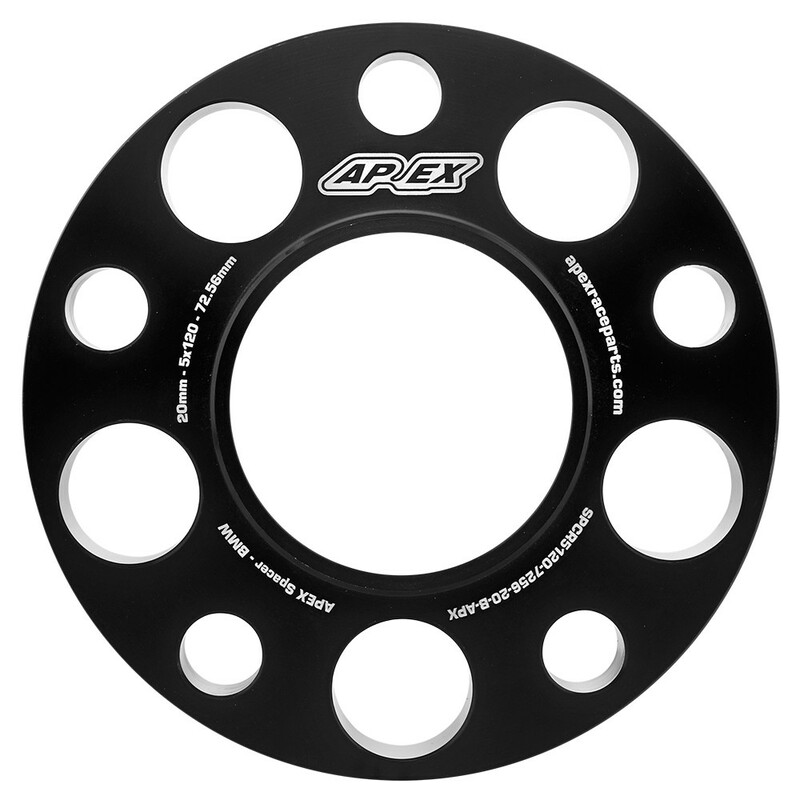 APEX wheel spacers can be purchased separately from extended hardware so the choice is up to you. Buy them on their own or pair them up with a stud kit or extended lugs & locks. Say that 10 times fast. Save yourself from the headache. If you’ve owned spacers before, you’ve likely had one seized onto the hub. Instead of using a mallet to free it, utilize a tool meant for removal— a pry bar or screwdriver. 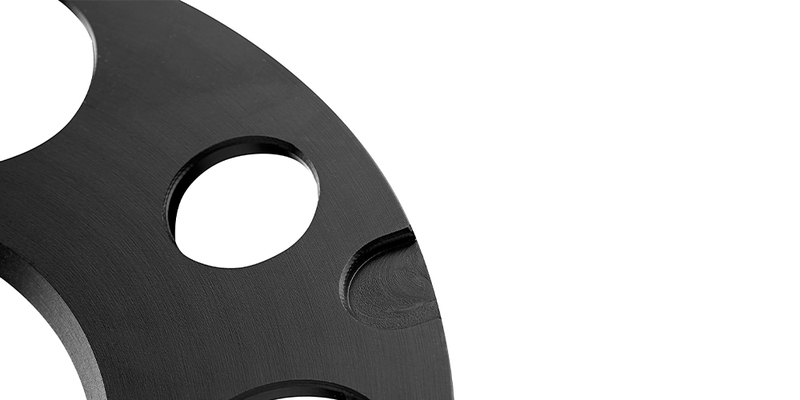 We’ve added machined pry points around the spacer’s edge, making even the most seized spacers a breeze to remove. You’ve worked hard on the color scheme and coordination of your car and modifications. Spacers should not be any exception. They are meant to push wheels out, not stand out on their own. Available in two finishes— Black and Silver. Pick the one that compliments your ride. For us, safety is paramount and to create a reliable, trustworthy spacer and relationship with the customer. We're passionate about racing, and would accept nothing less for ourselves. Without question we had to utilize the best materials and employ military-grade construction methods. We ended up with a CNC machined, 6061-T6 Aluminum spacer with carefully chamfered edges, eliminated stress-risers, and appropriately lightweight design without sacrificing rigidity or surface area. Remember trying to solve mystery of identifying spacers either on the car or as they sit loose inside of our tool boxes or parts pins? We do too. What started as scrawling numbers with a screwdriver evolved into clean, legible, laser-engraved size and measurement information on the spacer face and edges. 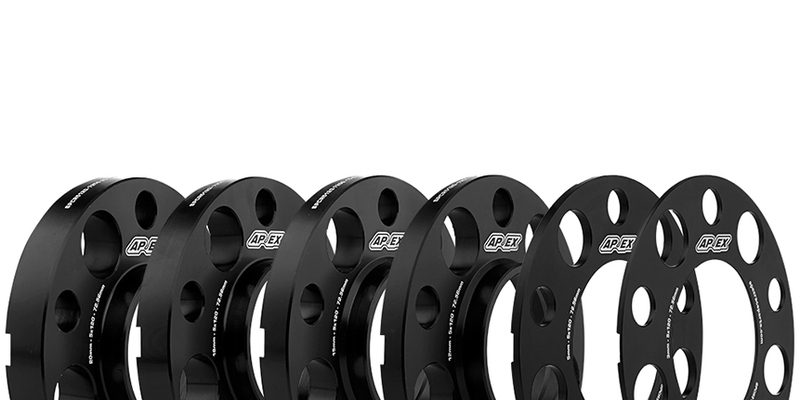 Manufactured to perfectly match the measurements and tolerances of your BMW, these spacers are a natural extension of your wheel hub. Sloppy construction, uneven surfaces, and out-of-round shape will result in poor fit and cause vibrations. At the end of the day, spacers are useless if they vibrate. 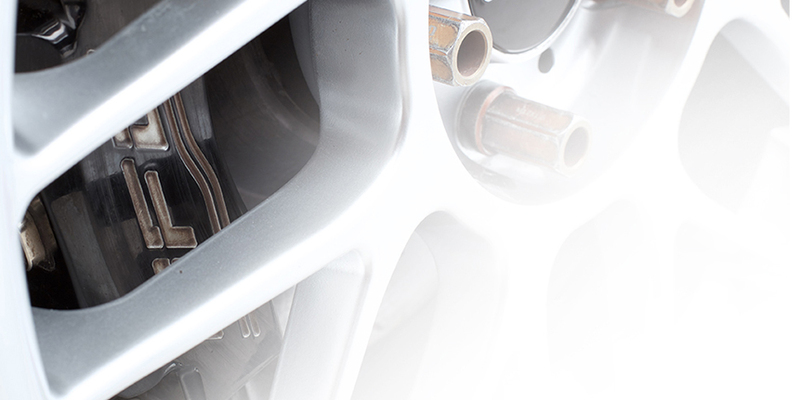 We’re so confident in our spacers that if they cause any sort of vibrations or shakes, we’ll replace them. Simple as that. 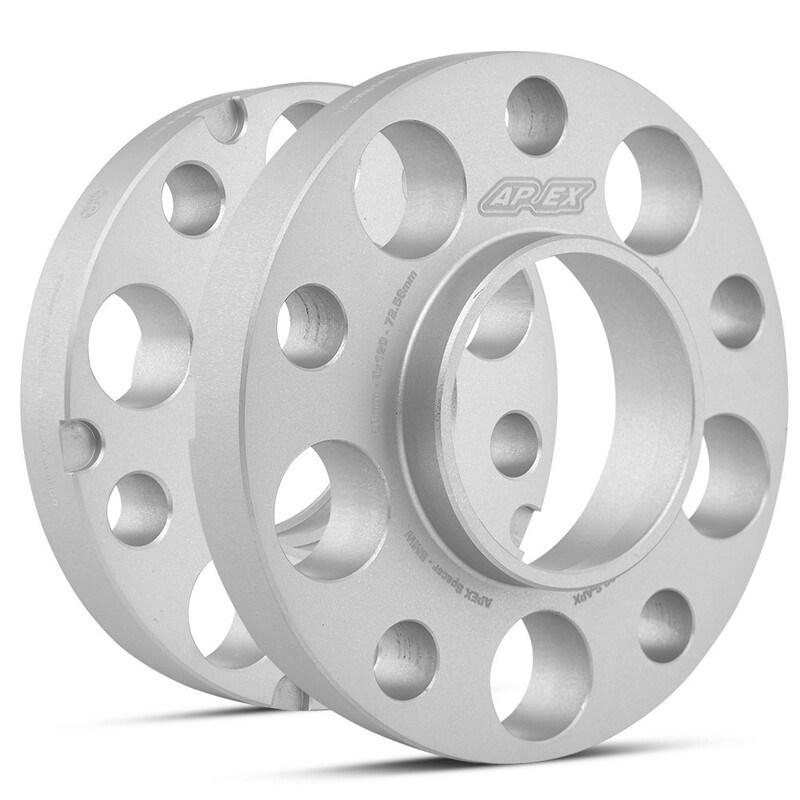 Wheel spacers are not intended to be stacked and doing so may result in damage or injury. Proper length extended hardware MUST be used in conjunction with wheel spacers. 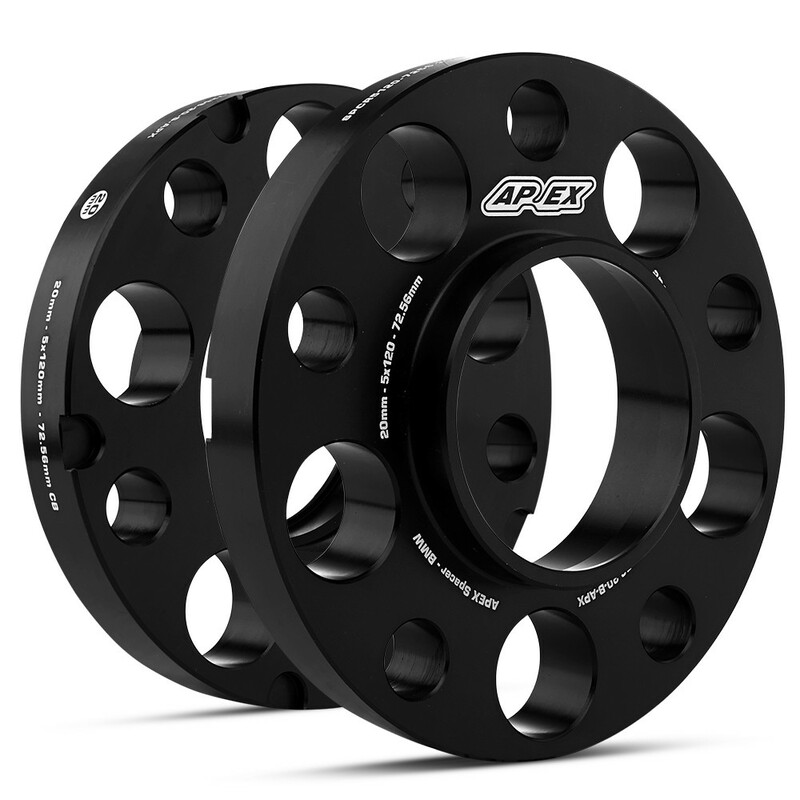 These spacers will not fit the BMW E39 5-series/M5, E70 X5, or E71 X6. 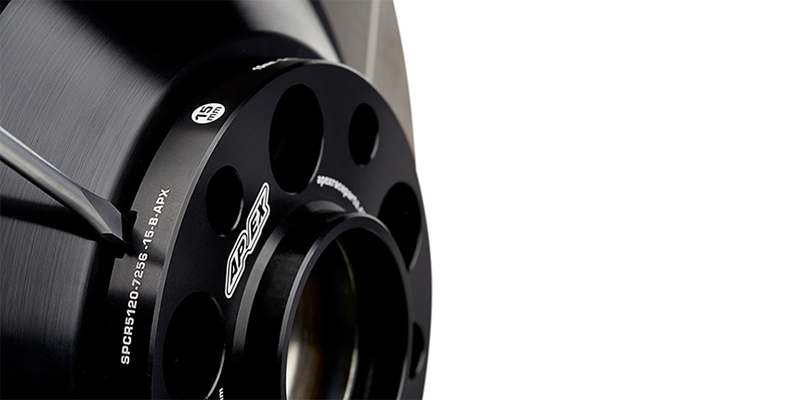 This is because the center bore is 74.1mm as opposed to this spacer’s 72.56mm center bore. 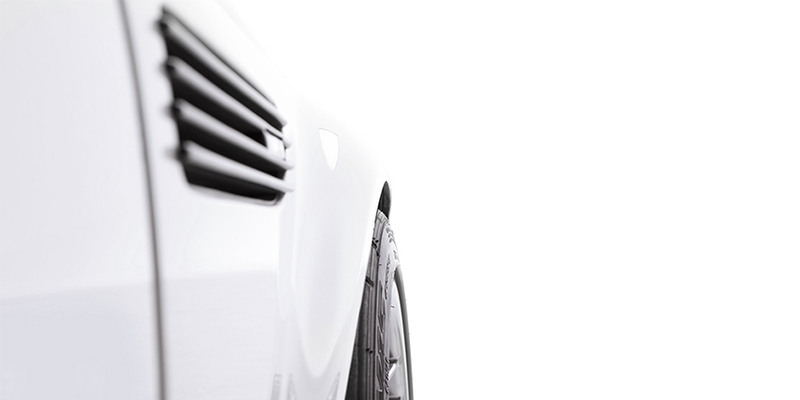 READY TO FINE TUNE YOUR FITMENT? 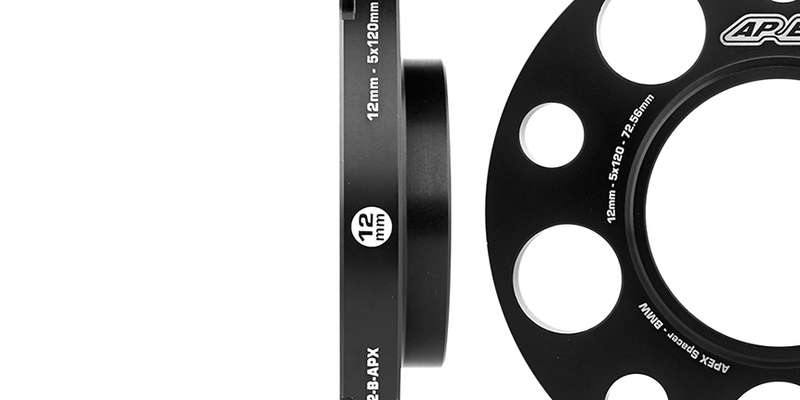 20MM ISN'T QUITE RIGHT...WHAT ARE MY OTHER OPTIONS? I'LL NEED EXTENDED HARDWARE TOO. DO YOU HAVE WHAT I NEED?